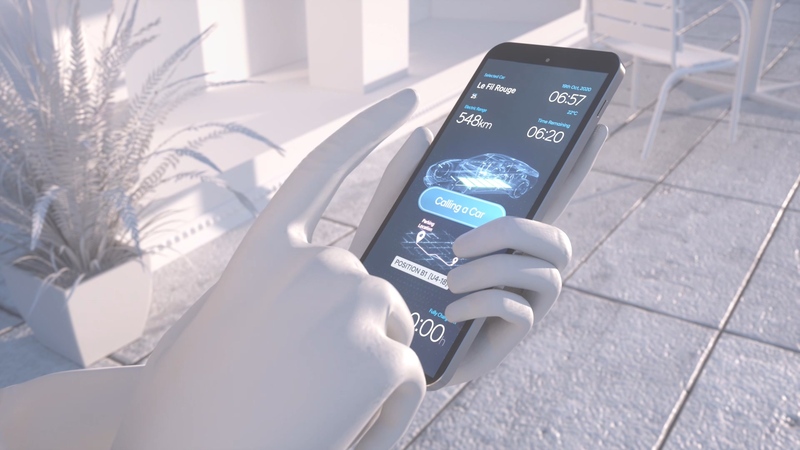 Kia Motors Corporation premiered a video that featured the concept of an innovative electric vehicle wireless charging system with the Automated Valet Parking System (AVPS). With the number of electric vehicles on the road increasing, the new system will help drivers to tackle overcrowding both in the case of parking and of charging locations. The system can be used to relocate fully charged vehicles from the charging stations so that electric vehicles that are in the queue can charge. A smartphone can be used to command the vehicle to charge and it will then automatically cruise to a vacant wireless charging station. Once it is fully charged, it will relocate to another vacant parking space with the help of the Automated Valet Parking System (AVPS), so that other vehicles can use the charging facility. When the driver then summons the vehicle using the smartphone, it can then autonomously return to the location of the driver. The complete process is performed by continuous communication between the electric vehicle, parking facility, charging system and driver. The parking facility sends information regarding the location of empty parking spaces and charging stations, while the charging system updates the charging status of the vehicle in real-time. Kia has plans to commercialize the technology when it launches level 4 autonomous vehicle technology by 2025. Kia also plans to have autonomous driving in various smart cities from 2021 with a goal of launching fully autonomous vehicles by 2030.